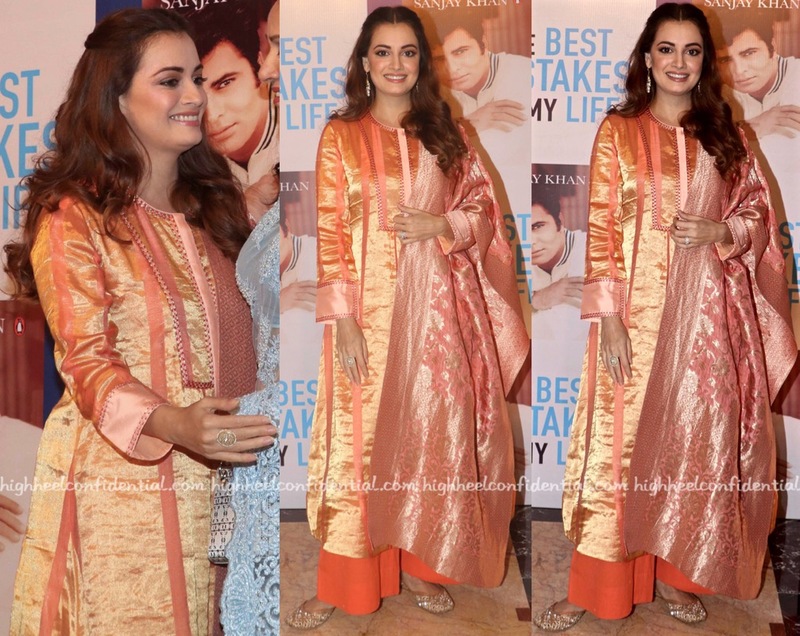 For her appearance at a recent book launch, Dia picked a festive suit by Rashi Kapoor to wear. Her accessories for the evening included jewelry from Tyaani and pair of Pastels and Pop jootis. She made the look work her. Kajol’s campaign for a jewellery brand just released and you’ll notice that her wearing a Shivan And Narresh blouse, one that we saw on her a few months ago. While the Ganesh Chaturthi festivities saw her in a green chiffon sari, for the campaign she was seen wearing the leaf print blouse with a beige Rashi Kapoor one and a Shivan and Narresh metallic sari but the former combo made it to the final edit. It was good to see her mixing and matching and re-wearing.